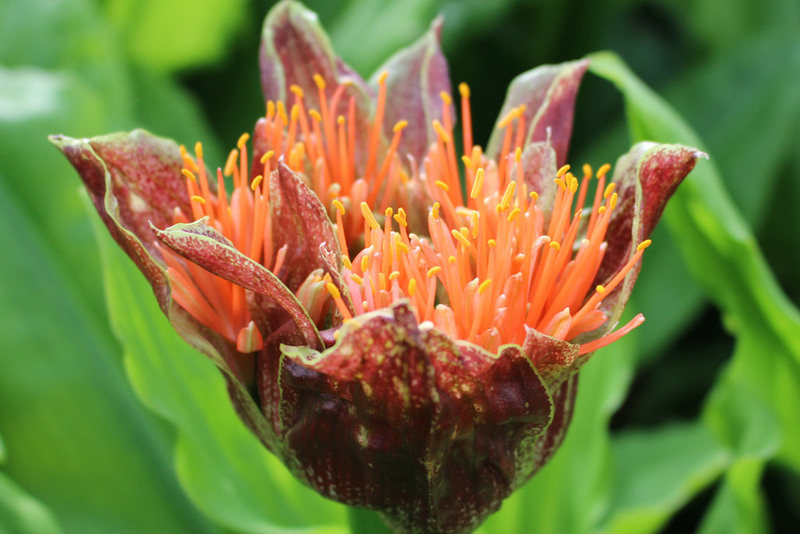 Have you heard of Scadoxus? 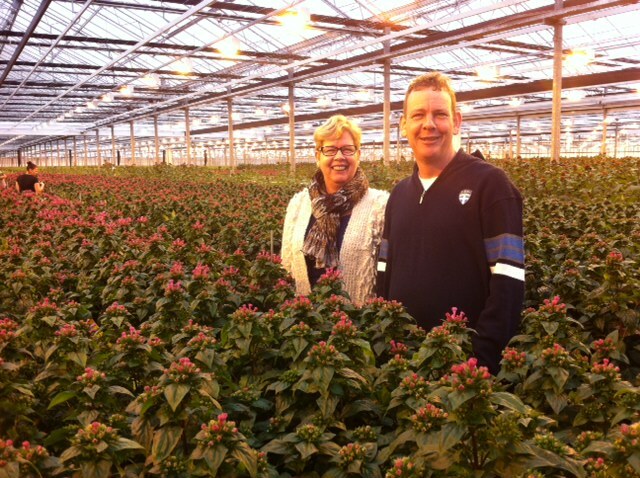 Somebody told me to visit the nursery of René Koning, along with his wife Sylvia, they grow a niche flower named Scadoxus. 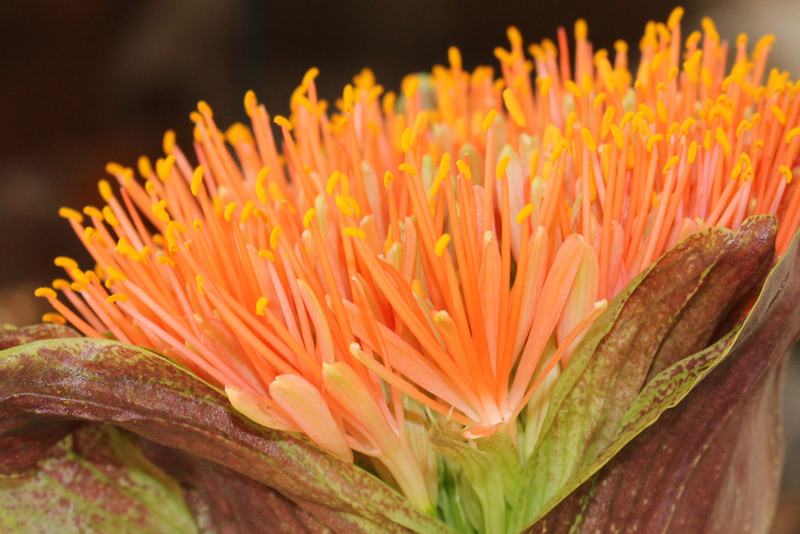 Scadoxus used to be included in the genus Haemanthus. With their striking flower heads that can resemble a shaving brush. These South African bulbs thrive on a sunny windowsill. The spectacular flowerhead is a huge spherical umbel consisting of up to 200 flowers. 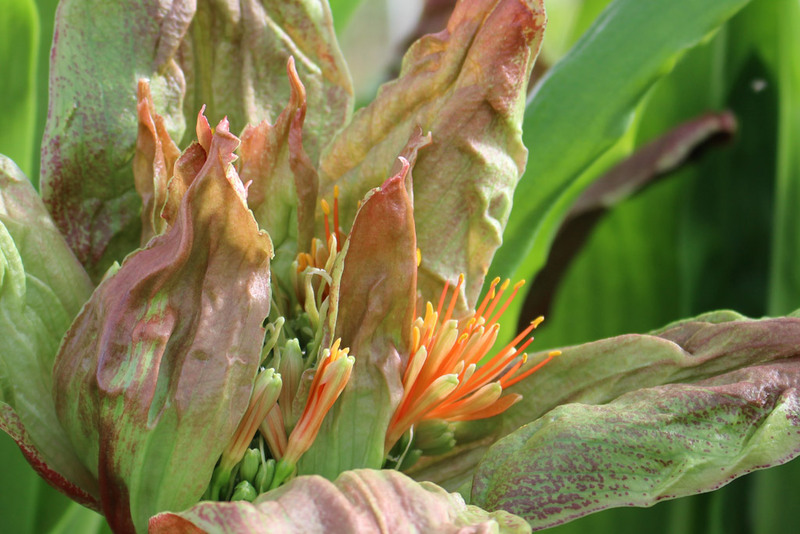 Each plant will produce only one flowerhead per season. 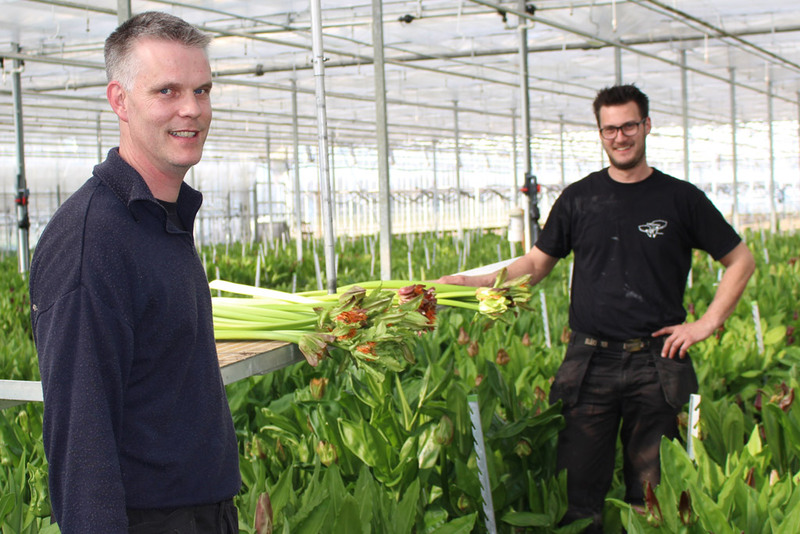 “It was a chance you get once in a lifetime”, Rene says when they could buy the Scadoxus plants from a breeder in 2004. 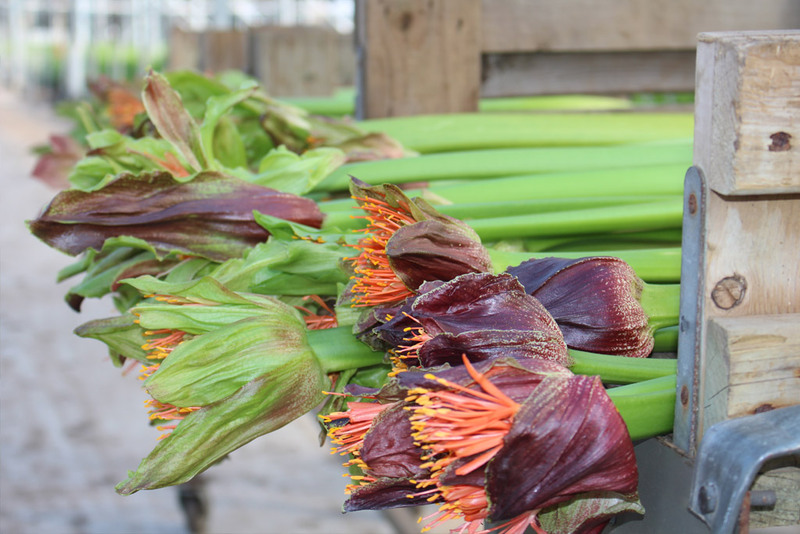 Scadoxus is a bit family of the amaryllis. She is very strong and there always comes a wreath of flowers more open. The long branches have a vase-life of three weeks. René gave me some flowers to test at home. Last weekend our youngest son celebrated his birthday with our family and friends. 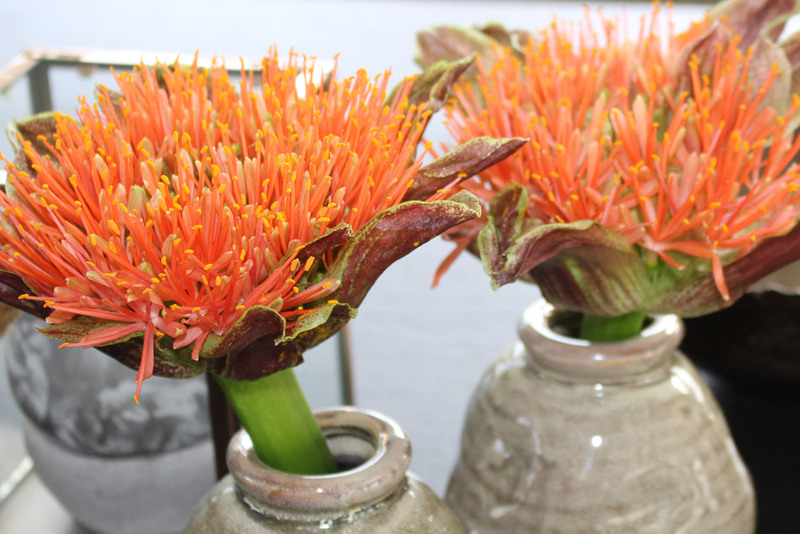 The Scadoxus flower was still the eye catcher in our living room after 2 weeks in the vase. 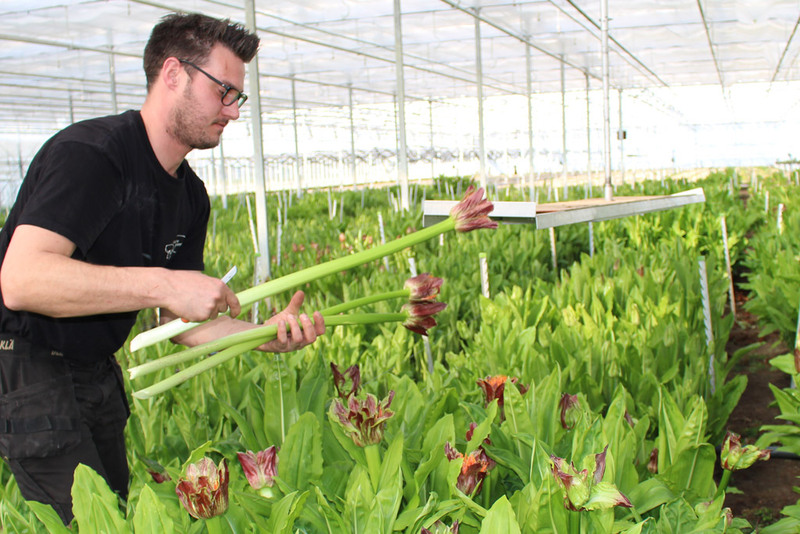 There are few consumers familiar with Scadoxus so it’s time to introduce: It’s a lifestyle flower! 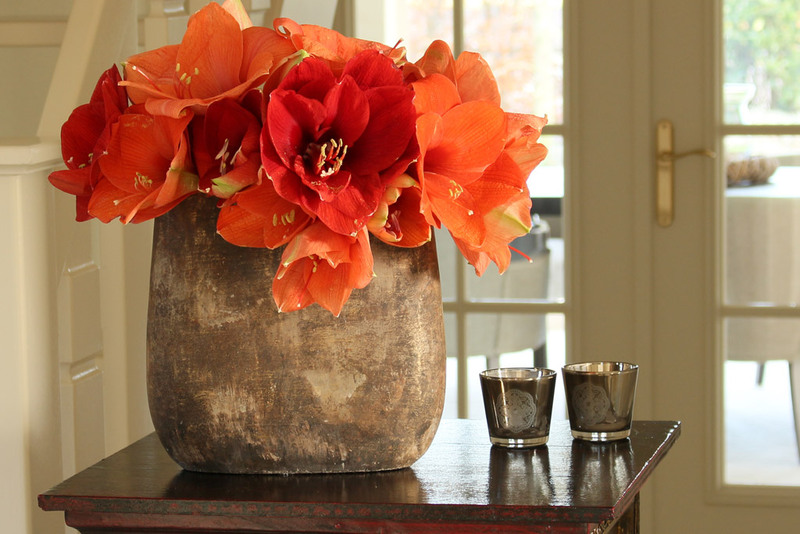 This orange beauty will decorate every interior. The only thing she needs is a vase with water. How easy can it be! Never forget one beautiful flower can say more than a large bouquet. It is about refinement. It’s what lends every flower its own story. Force of nature! This story I want to communicate to the florists.....I experience consumers will choose to buy more conscious. 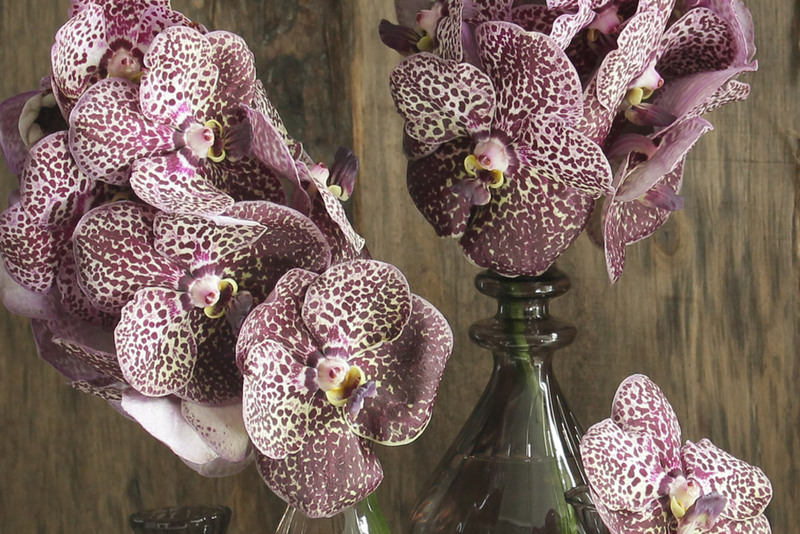 Vanda.... one of the most mystical orchid varieties. The Vanda originally grows on the southern slopes of the Himalaya and in the region from India to South China.